SPRINGFIELD -Stephen F Higgins III, 56, of Springfield, MA was called home on Sunday March 31, 2019 after his life long battle with addiction. He was born on April 15, 1962 to his parents Stephen F Higgins Jr. and Rose M (Demers) Higgins. Steve is survived by his four children: Stephen F Higgins lV, John Higgins, Jeremy Higgins, and Maricel Ellinger. He also leaves his 6 grandchildren. He will be deeply missed by his lifelong partner Nancy Pereira and his five siblings: Mark Higgins, Patricia Scarborough, Theresa Bean, Sandra Guerrero and Matthew Higgins. 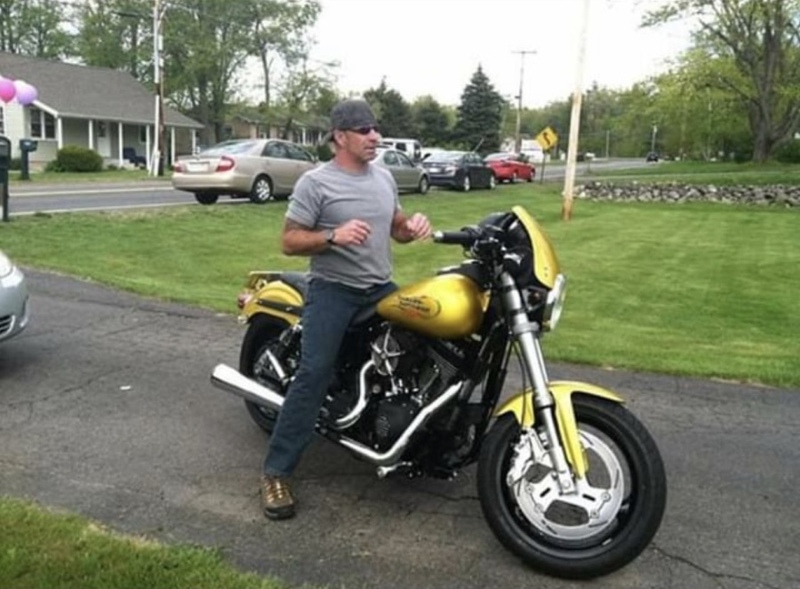 Steve was an avid motorcycle rider and enjoyed spending time with his grandchildren. Visiting hours will be held at Brunelle Funeral Home in Chicopee on Monday April 8, 2019 from 5-7pm with a funeral home service at 6:30PM. Please visit www.brunellefuneralhome.com for more details.